The idea behind Blocks is pretty simple. You start with one or two blocks, and then expand upon those by buying more. The system is modular — so you can easily add new blocks onto your existing setup. The main block is the “Seaboard Block,” which is basically a small 24-key keyboard. 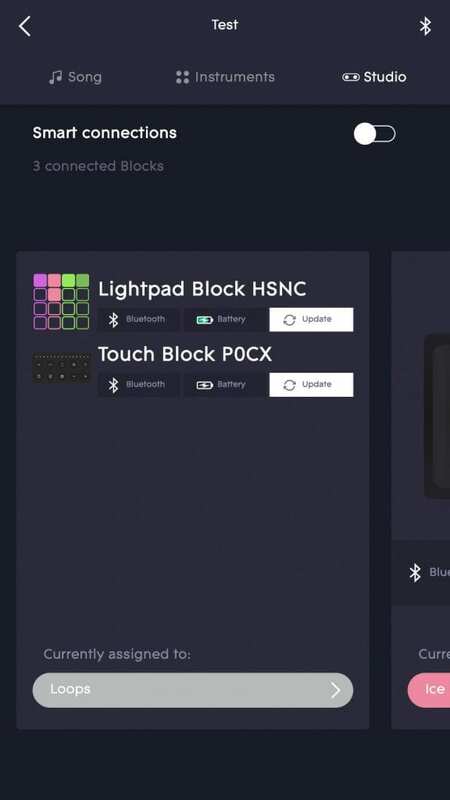 Then there’s the Lightpad Block, which basically acts kind of like a control surface and can be used on both desktop and mobile. 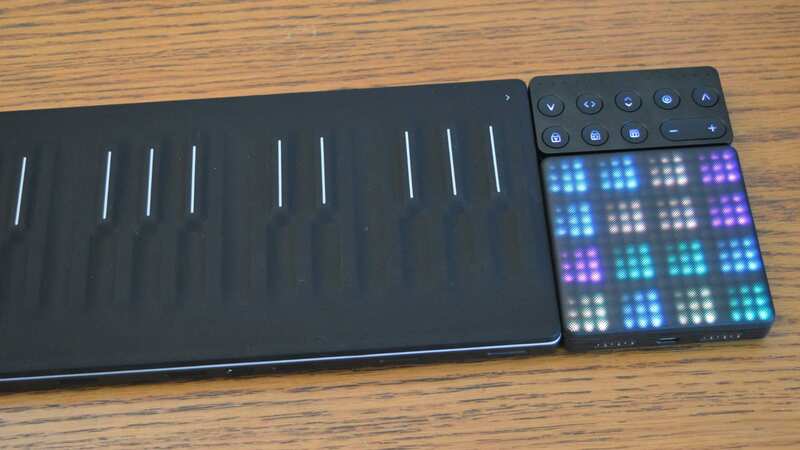 There’s also the Lightpad M, which is a little brighter and newer than the Lightpad, and the Live Block, Loop Block, and Touch Block — which are basically transport and expression blocks. The Blocks push the boundaries in a few ways. They’re multi-touch sensitive with the ability to detect velocity, and positioning — continuously. ROLI calls it 5D tracking. But are ROLI Blocks worth investing in? Have we finally arrived in the future of modular music-making? We put the ROLI Seabord Block, the ROLI Lightpad, and the ROLI Touch Block to the test to find out. The first thing you’ll notice about any new product is its design, and ROLI Blocks look awesome. 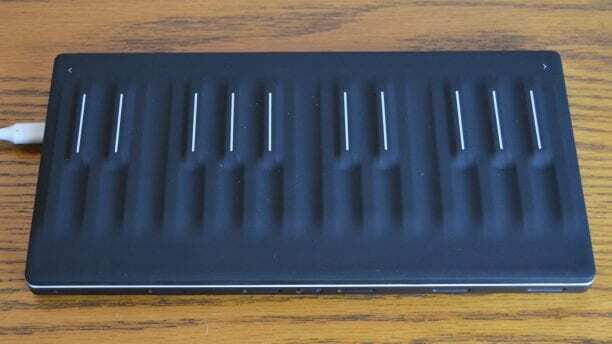 The Seaboard Block looks extremely similar to the standard ROLI Seaboard — but that’s a good thing. It’s close enough to a regular keyboard to be recognizable for those who play the keyboard, but modern enough to show that it’s here to change how we approach making music. The Block features a 24-key setup, along with octave controls on the top left and right, a battery indicator button on the left edge, and a power button on the bottom edge. 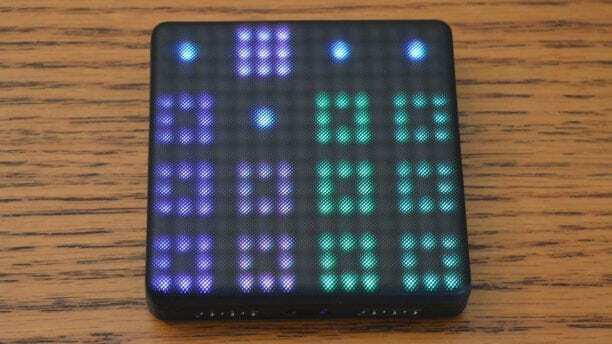 The Lightpad block features a design that makes it obvious that the two blocks are meant to exist in the same series. 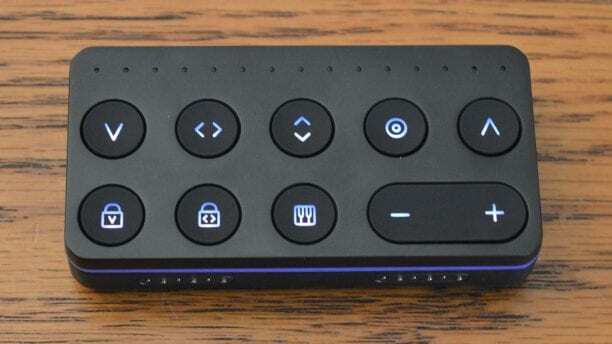 The left edge features a button that will show battery level, while the bottom edge features a power control. Both Blocks feature a USB-C connector on the top for charging. We liked that ROLI included a USB-C connector rather than a microUSB one. It would have been easier, and probably cheaper, to go with the older standard, but as computers start getting more USB-C ports and USB-C cables become more common, having the newer and ultimately better standard is a good choice. The third block we’re testing, the Touch Block, is also well-designed. Unlike the others, it doesn’t feature a charging port or on button — instead it has to be connected to the Seaboard Block or Lightpad Block to function properly. The Touch Block features all you would need from your expression controls, plus more. You’ll be able to control the responsiveness of the Seaboard Block, the “slide” and “glide” of the blocks — which basically allows you to change pitch or add filters when you move side to side and up and down. Setting up Blocks was relatively easy, and is possible on a range of platforms. On mobile, you’ll be able to connect to the Noise app — which is available on Android and iOS. For desktop users, you’ll need the Blocks Dashboard, which you can download from the ROLI website. The Dashboard is well-designed and extremely easy to use. It instantly recognized Blocks we had connected, and downloading and installing new firmware was very straightforward. The app was a little more hit and miss. We had a lot of trouble pairing ROLI Blocks with a Google Pixel XL, and eventually gave up. The process went a lot more smoothly on an iPhone 7 Plus, and we were connected and running smoothly in no time there. ROLI Blocks will take a bit of getting used to, but in general the apps and devices themselves are pretty easy to use and well laid-out. That’s a pretty important consideration to make. 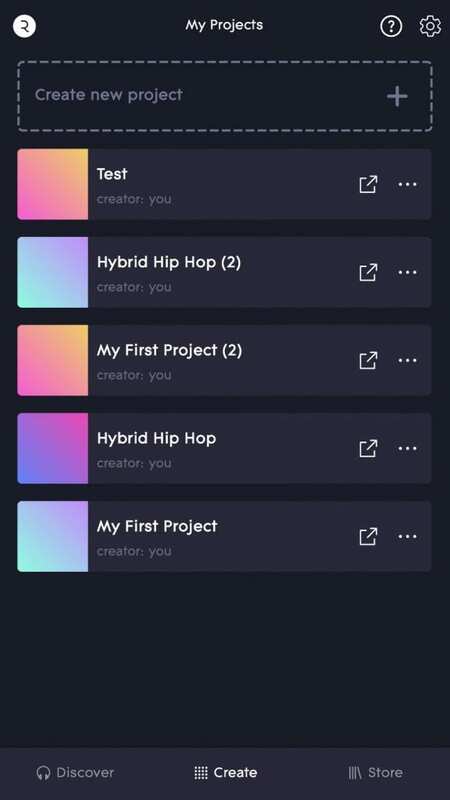 After all, Blocks are built for musicians on the go — so being able to quickly connect and get started could be the difference between being able to finish up a project or not doing so. The desktop app, called Blocks Dashboard, is basically a bridge between your Blocks and your DAW. From the Dashboard, you’ll be able to control all your MIDI settings, pitch bend range, and so on. It’s pretty easy to switch between editing different blocks in the app simply by clicking on them, and while there’s a lot you can do in the app, we appreciated the sleek and visual interface. 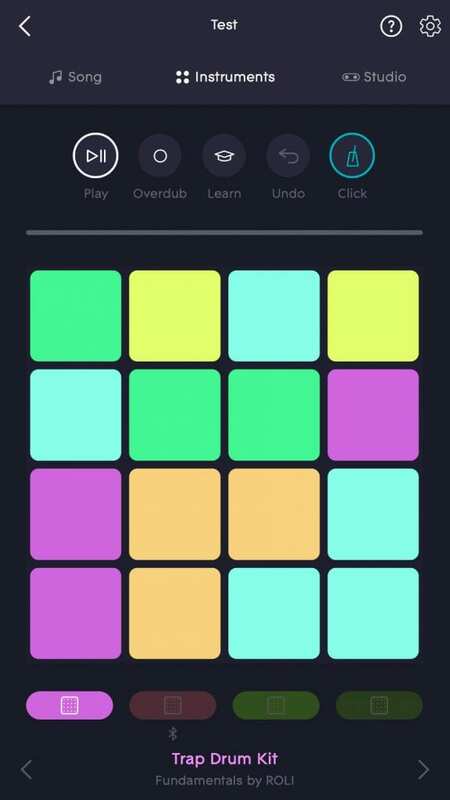 ROLI has put a lot of emphasis onto the Noise app, and it’s a pretty nice way to get to know ROLI Blocks and to make loops. The app is largely built around making loops, and while there was certainly a time when it wasn’t the best at doing so, it’s grown a lot. Navigating through the app is relatively easy. You’ll first connect your Blocks, then either start a new song or edit an already-made one. 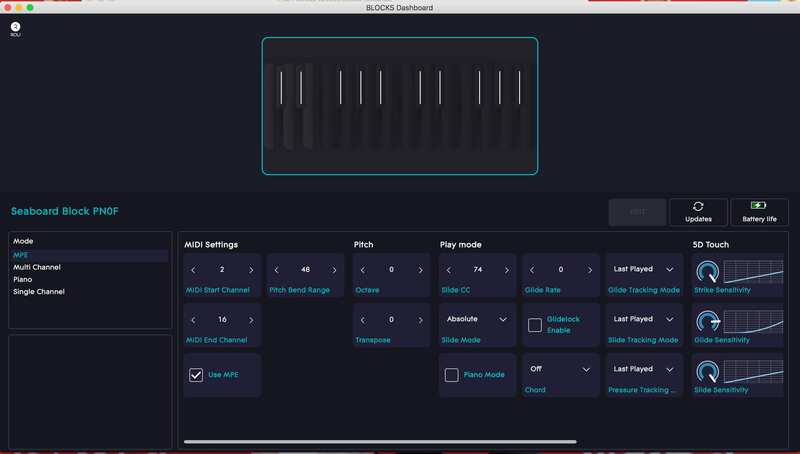 From there, you’ll be able to play back the loops you’ve created in the “Song” tab, edit the sounds and loops in the “Instruments” tab, and controls your Blocks and which instruments they’re assigned to in the “Studio” tab. You will want to take an hour or so getting used to the interface — it can be a lot to take in at first, especially if you’re coming from a more traditional DAW like Pro Tools. One thing to note about Noise is that the sounds in Noise sound great. They’re powered by ROLI’s Equator sound engine, which has gained steam over the past few years as a pretty impressive offering. Drums sound punchy and full, synths can be complex and intricate, and so on. While Noise is a lot of fun, it could use some work. One of the biggest issues we had with it is that you can’t export your loops privately — you can only share them to ROLI’s social network NOISE.fm — and it’s shared under a Creative Commons license. In other words, without recording the loops from your phone, you won’t be able to get them into your main DAW — and even recording from your phone can be a little tricky in an era when the headphone jack is disappearing. We would like ROLI to add the ability to share loops to a cloud storage service, for example. In general, both the Dashboard and the Noise app are well-built and generally easy to use. Noise could use some extra functionality. You’re limited to one drum kit and three other instruments when it comes to loops, so loops are a little bare-bones. You also can’t add any effects to your sounds, mute or solo sounds, edit loop lengths, and so on. 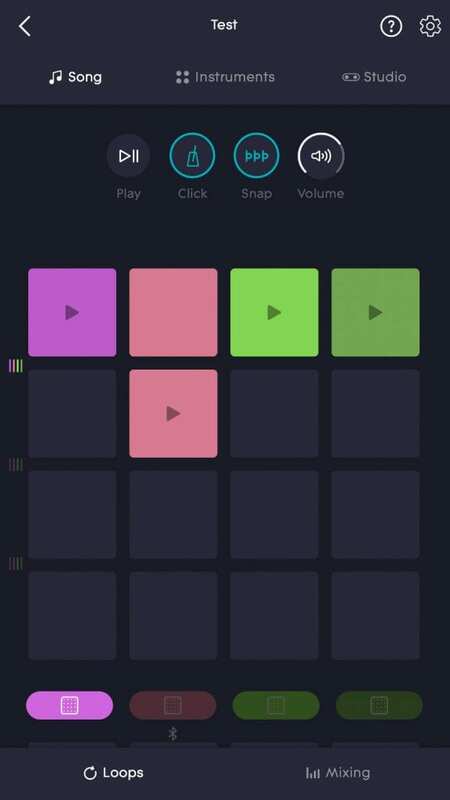 ROLI has been working on the app a lot — some reviews note that you can’t overdub loops, but since they’ve been written, the feature has been added. We hope ROLI continues to put effort into the app. ROLI Blocks are a very interesting offering from ROLI, which is slowly but surely trying to change how we play and record music. In general, Blocks take a little getting used to, but once you do you’ll enjoy the versatility that they offer in your DAW. Using Blocks with Noise is also pretty fun — and while it could certainly use some extra functionality, if you just want to mess around and experiment a bit, Noise is pretty good at doing so. So the question remains — should you buy ROLI Blocks? The idea of having portable MPE controllers is a good one, and will certainly appeal to many users. We think power users, who don’t mind diving into MIDI settings, will get the most out of Blocks, coupled with the Dashboard app. Those looking for something to create fun loops and mess around in their free time will also appreciate how Blocks work with Noise. We would, however, like to see expanded software efforts from ROLI, better native desktop support (maybe through a dedicated plugin? ), and more. 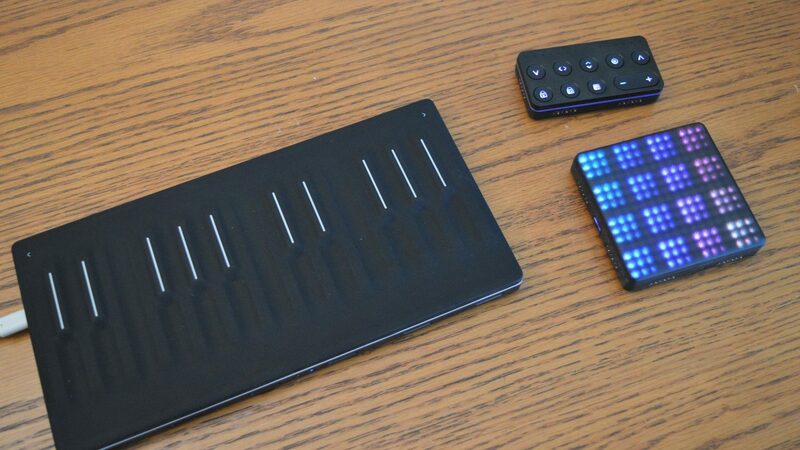 If you’re interested in getting ROLI Blocks for yourself, check out the links below.